Loaded with good nutritional value it only takes 1/2 cup to receive 81% of daily vitamin C in 28 calories. 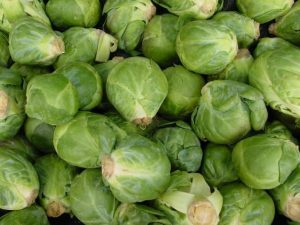 Brussels sprouts are also a good source of dietary fiber, vitamins A and K, folate, potassium, iron, manganese and more. Those soggy, limp stalks that laid on your plate before you most likely seemed less than desirable. But the nutritional value of broccoli was something that adult in your life understood. There are many ways to prepare that less than desirable dish from your childhood. From cooking it up in soups and casseroles it can also be cooked up in a stir fry. You can cook up broccoli in some of your favorite dishes of pizza, mac n cheese , salads and pasta as well. 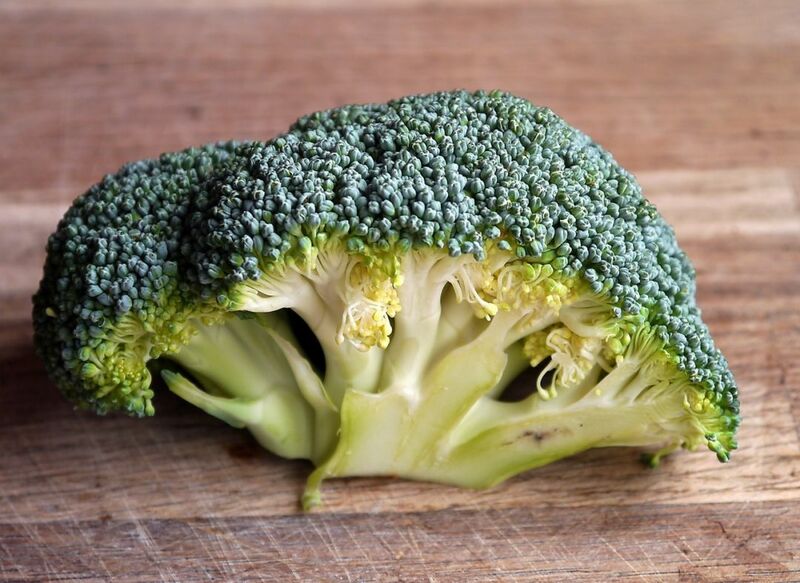 Broccoli comes from the brassica family. Other members of this family include cabbage and cauliflower. Broccoli is a native plant to the Eastern Mediterranean region possibly originated in Cyprus or Crete and sent to Asia Minor through travel routes. It would become part of the cuisine in France about 200 years before reaching England or colonial America. Broccoli's popularity in the United States took place around 1920. It seems that it was immigrants from Sicily that would grow the first commercial broccoli crops in California. Not everyone has enjoyed broccoli. One recent president did not care for it and shared his comments on the subject stating " I haven’t liked it since I was a little kid and my mother made me eat it. And I’m President of the United States, and I’m not going to eat any more broccoli.” on the other hand Barack Obama , claims broccoli is his favorite vegetable! California remains the leading broccoli producing state and supplies 90% and Arizona. Frozen broccoli comes in mainly from Mexico makes up about 1/3 of frozen vegetable imports. It seems Americans enjoy broccoli eating around 8 lbs each year. How about you?? Do you enjoy broccoli or do you torture your children by having them eat it but refuse yourself?? 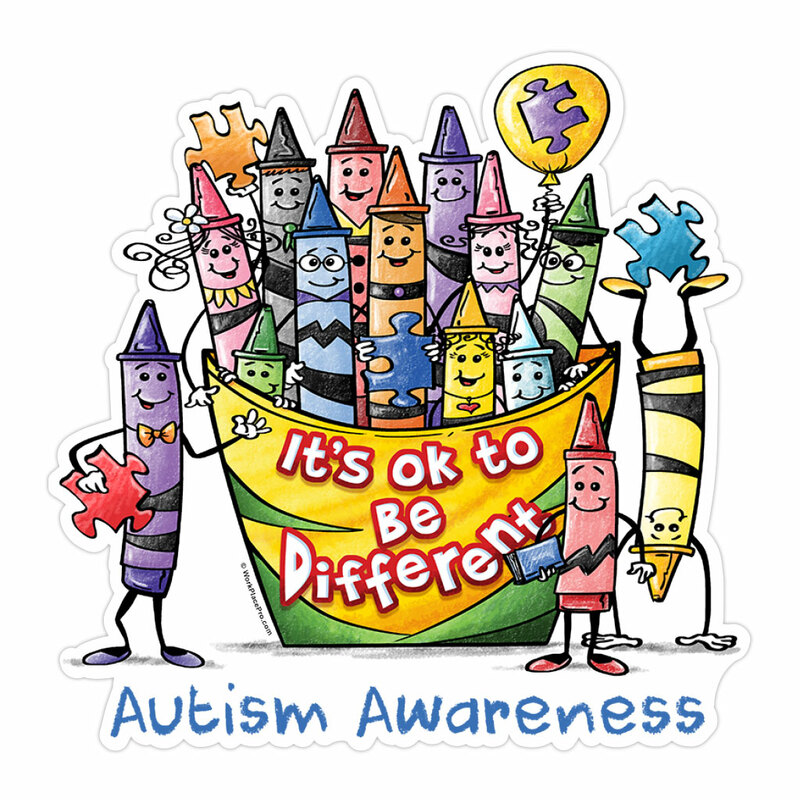 The Autism society is trying to bring awareness to autism, inclusion, and self determination for all. Each person with Autism should be allowed the same opportunity as everyone else. The opportunity to achieve what they can and live a life with as much purpose as it can is all that they are asking for If you are like me and are willing to accept this then this post is for you. There are those in the community that are helping all those with Autism to do their best. For the past 50 years services and programming have been there to help support all individuals living with autism. The next goal is to have the rest of the community to ensure acceptance and include those with Autism in schools and community events. That is the only way to reach true appreciation. Everyone, each one of us, has something to offer with our gifts our communities and can grow and succeed. Make Vinaigrette: Whisk together apple cider vinegar, apple cider, salt, freshly ground black pepper, and Aleppo pepper. Drizzle in olive oil, whisking constantly, until dressing thickens and emulsifies. Taste and add salt, freshly ground black pepper, or vinegar, as needed. 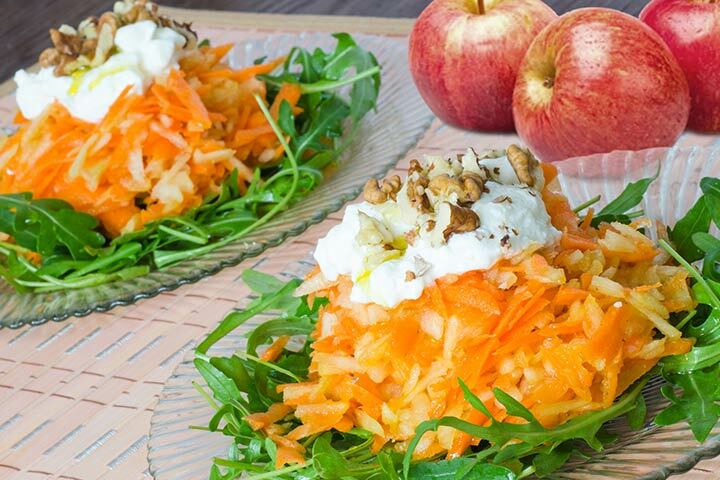 Prepare Salad: Slice apples into paper-thin slices using a mandoline or other vegetable slicer. Put in bowl large enough to hold all ingredients and toss apples with a small amount of dressing (this prevents apples from discoloring). Add dandelion greens and green onions. Toss well with enough dressing to lightly coat greens (there will be leftover dressing). 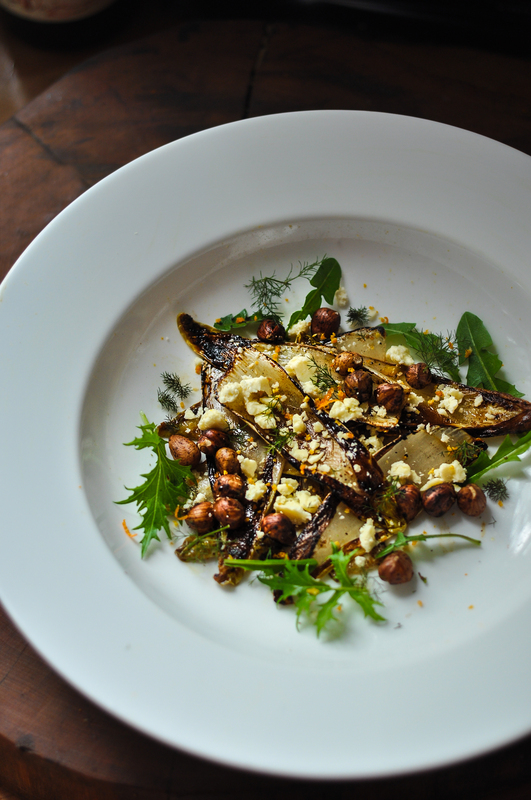 Sprinkle toasted hazelnuts and dandelion petals (if using) over top of salad. Taste and add salt or freshly ground black pepper, as needed. Serve immediately. Cook meat (seasoned with oregano, onion powder & crushed red pepper flakes to taste) in a large nonstick skillet over medium-high heat until browned, stirring until it crumbles. Add mushrooms and cook until mushrooms are browned a bit as well. Add tomato sauce and cook until heated. While meat cooks, coat a 9×13 baking dish with cooking spray. Unroll pizza crust dough and press into bottom and halfway up the sides of baking dish. Sprinkle half the cheese over the bottom of the crust. Top with meat mixture. Bake uncovered in the oven at 425 for 12 minutes. Remove and top with remaining cheese. 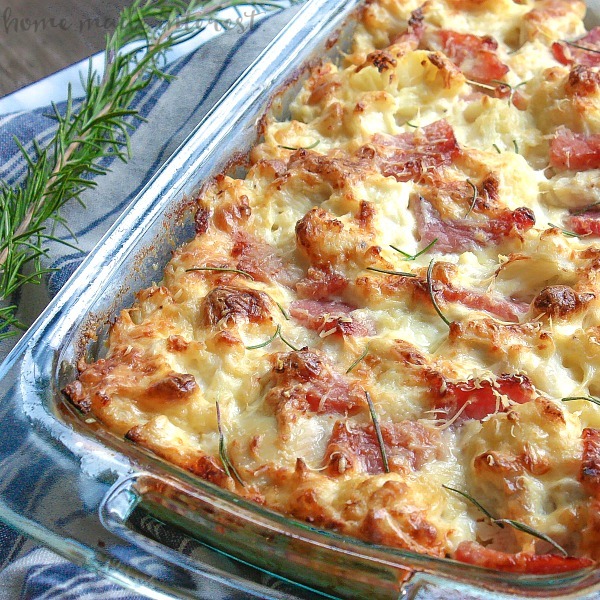 Put casserole back in the oven for 5 additional minutes or until crust is browned and cheese is melted. Cool 5 minutes before serving. Wash all produce and prepare ingredients. Add all the salad ingredients into a bowl. Combine dressing ingredients in a small bowl then add over salad. Dress as you like (you may want more or less dressing) and toss well to coat salad evenly. 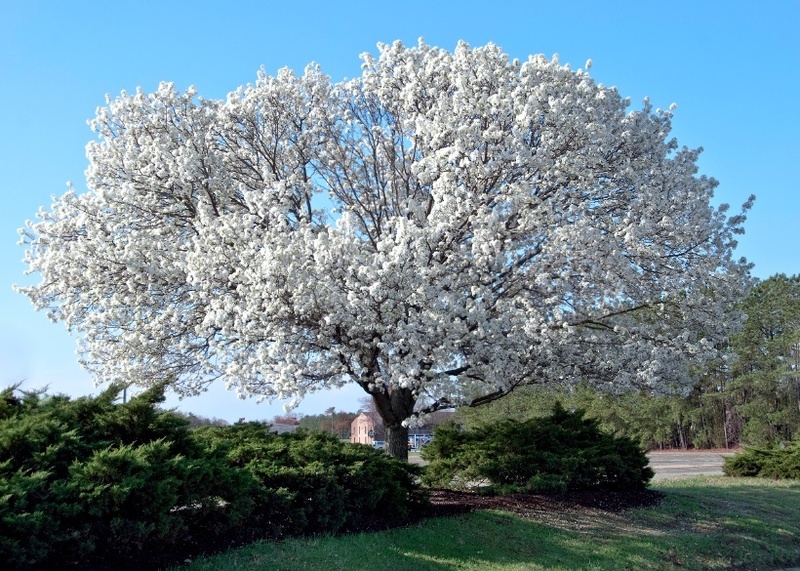 The dogwood tree is a popular tree that is small in stature. The flower of the dogwood tree has four petals. The petals make the shape of a cross with the center of the flower resembling the crown of thorns with bright red cluster in the center representing the blood of Christ. Preheat oven to 375 degrees. Line 8x8-inch square baking dish with parchment paper or spray with nonstick cooking spray. Sift together flour, sugar, baking powder and salt. Set aside. In mixing bowl, stir together coconut milk, vinegar, applesauce, oil and vanilla extract. Add flour mixture and mix until combined. Pour cake batter into prepared baking dish. Top with even coat of fresh raspberries. To make crumb topping, whisk together flour, brown sugar and cinnamon. Add melted shortening and stir with fork until all ingredients combined. 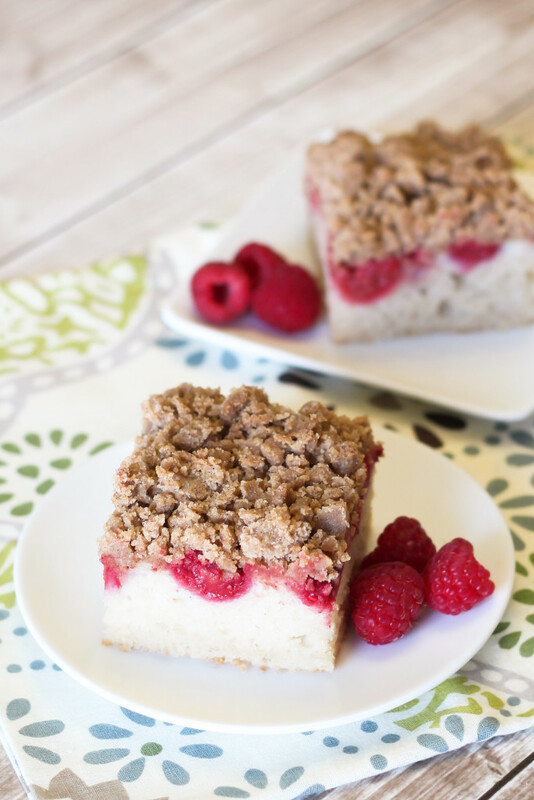 With fingers, crumble topping over raspberries. Bake coffee cake for 32-35 minutes, until toothpick inserted in center comes out clean. Let cool in pan 15-20 minutes before serving. Slice and serve. More than 3.5 million children each year are treated in emergency departments across the country for injuries in their homes. This statistic is from Safe Kids Worldwide. Many of those incidents could have been prevented if steps to protect would have been taken. More than 3,000 of those injuries are result of unsafe windows and doors. Falls from windows that were not locked or protected in another manner cause many injuries. Double hung windows should be open from the top. 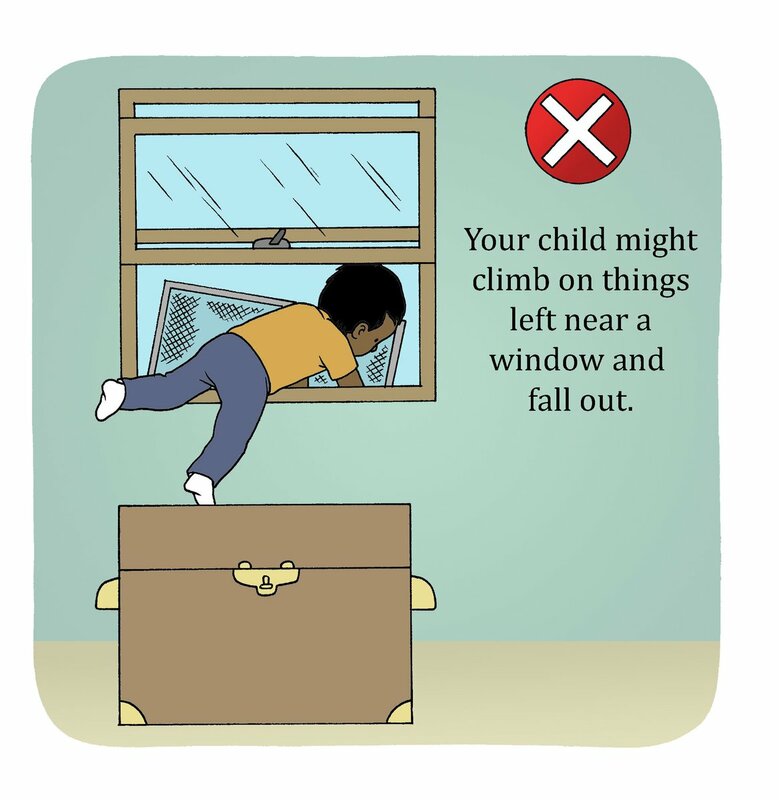 It only takes a few inches for a child to fall from an open window. Window screens will not stop a child from falling out of a window as every year many children fall from open windows with screens. 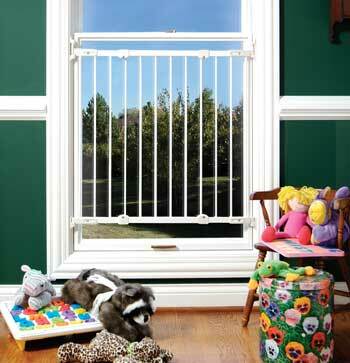 Window guards with horizontal bars that are no more than 4 inches apart and screw into the sides of a window frame are great help to prevent a child from reaching or climbing through an open window. Layer Romaine Spring Mix, Spinach, Fresh Raspberries, Pecan Halves, Chickpeas, Avocado, Goat Cheese and Deli turkey in a large bowl or separate plates. Drizzle the salad with Blueberry Pecan Balsamic Vinaigrette. Serve and enjoy! Mix the dressing ingredients and refrigerate. Sugar-coat the pecans by cooking and stirring them in a saucepan with two tablespoons of sugar until the sugar dissolves. Immediately transfer the pecans to a piece of waxed paper and separate them so that they don’t stick together. Toss all of the ingredients together just before serving. Carrots are a crop that is needed steadily through out the year. Carrots can grow all growing season with the cooler ends both spring and fall being the favorite. Most carrots are grown from seed and take between two and four months to mature. Carrots are also resistant to pests and diseases. Frost is tolerated by the carrot plant as well. Perhaps the only challenge to growing carrots is having the correct soil type. Carrots can be stored by twisting off the tops, scrub off the dirt using cold running water, let dry and seal in airtight plastic bags in fridge. Simply putting fresh carrots in fridge will have them limp within hours. Did you know that you can leave carrots in the ground where they will flower and produce seeds for second year. Did you know that carrots have many health benefits?? Did you know carrots are as good for our dogs as they are for us. Spinach is one vegetable available all year round. Spring is most likely the best time to get a fresh and tender supply of spinach. Have you ever tasted spinach, it is one of those things you either love it or you don't. Spinach has a slight bitter to metallic flavor. Southwest Asia may have been the first place that spinach was cultivated and used. Middle East trade routes would took things through North Africa as well as Europe. An English cookbook from the fourteenth century was found to have a spinach recipe. Proof that it may have been spread via the route. Spinach is a flowering plant and belongs to the family of Amaranthaceae. Spinach should be bought in large amounts as it has a high water content and will reduce to a small size when cooked. Spinach can be stored in the fridge for 3 to 4 days. Spinach leaves should be washed in a sink full of lukewarm water. This will help to remove any trace of grit or chemicals. Water should be changed a couple of times, drain or dry in a salad spinner Any thick stems should be cut out. One way to prepare spinach is to steam the leaves in water. In a large saucepan on medium eat cook leaves 5 to 10 minutes. Spinach can also be sauteed or microwaved. Spinach can be eaten raw in salads as well. How do you like spinach prepared?? In a large bowl, whisk together 1/2 cup milk and egg. Add cut chicken pieces to milk/egg mixture to coat. I love rainbows they remind me of God's love and a promise that is shared in the Old Testament of the bible. Rainbows have been gifted with their own day of the year. Rather, finding a rainbow has been. The special day occurs each year on April 3rd. This rainy day may have been a fine time to find a rainbow, yet with all the storms out there I was not able to. The arrival of spring increases the occurrence of rain and offers a bigger chance to see a rainbow. 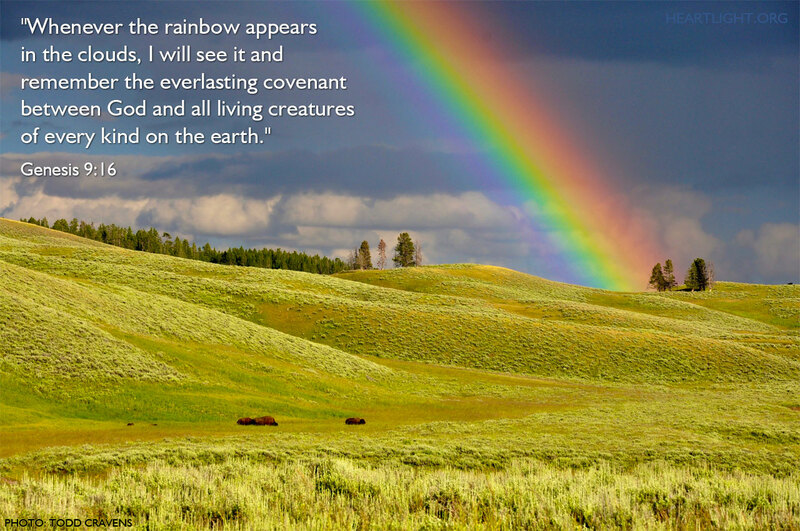 The rainbow was a gift from God after the great flood. It was offered as a promise that He would never allow a flood to cover the entire Earth again. Rainbows continue to be one of the most beautiful objects in nature and have symbolized hope, beauty and luck as well as fear for some. It was not to long ago that we celebrated St. Patrick day and we all know what is at the end of the rainbow where Leprechauns are involved. It is their pot of gold. Another legend has it that if a child is born on a day a rainbow is spotted the child is said to have good luck. 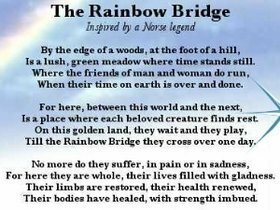 Yet, another legend expresses that a rainbow is a bridge between heaven and earth. The science behind a rainbow is very simple. It is a matter of how it is seen and how the light bends through it. When light changes from one object to another it "bends" or changes directions. A beam of light goes from the air into a glass prism and changes direction The light bends and seperates into colors. The ingredients for a rainbow are (1) sunlight, (2) air, (3) water. The sun must be behind you while it is raining in front of you. The sun rays will travel through the air and the sun will enter the raindrop to act like a prism. The light changes direction and seperates into colors. Every April 3rd each year is find a rainbow day. Drain the pineapple juice and coat the apples in it. Now take a bowl and combine the pineapple, carrots, raisins, coconut, and apples. In a smaller bowl, mix the remaining ingredients and with the carrot mixture. Give it good toss. Cover the bowl and refrigerate until chilled. Can you imagine traveling 1,800 miles in 10 days on horseback?? The pony express did just that, traveled from St. Joseph, Missouri, to Sacramento California to deliver mail to happy receivers. The pony express only lasted 18 months but made a lasting expression on history. April 1860 to October 1861 would place the Pony Express in the history books and somehow inner twine with the stories of the Old West. 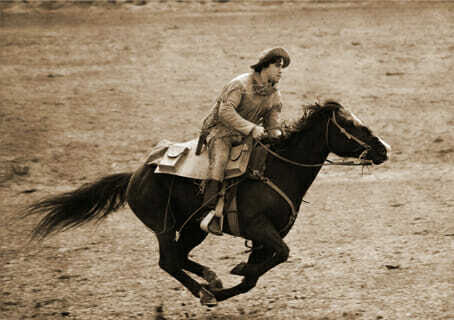 The pony express system worked to deliver mail via a horse and a rider relay teams. The mail would travel some 2,000 miles between St Joseph Missouri and Sacramento California. Through time the pony express system would be portrayed in novels, western films and frontier lore. There were only two main ways before the pony express that mail was delivered. The first took 25 days and went via stagecoach. The other was to travel in a ship a long a sea voyage that could take up to several months. 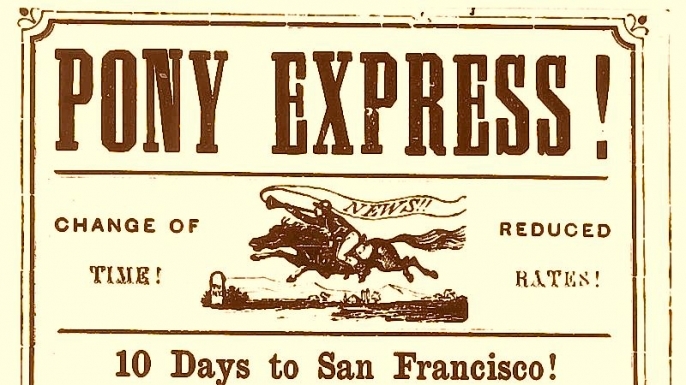 The pony express advertised a 10 day system. There was an average of 200 relief stations that stretched across Missouri, Kansas, Nebraska, Colorado, Wyoming, Utah, Nevada and California. Horses would be changed about every 10 to 15 miles and riders would hand off the cargo they were carrying about every 75 to 100 miles. While legend of the pony express riders have placed them in history the system never turned a profit during its time in history. A war between the United States and Paiute Indians would temporary shutdown service and the pony express company would become a money pit that could never recover. The Pony Express demanded small wiry men who weighed between 100 to 125 pounds. The pony express riders could be compared to the jockeys of today. The average age of a rider was around 20 but there were much younger riders that were hired as well. 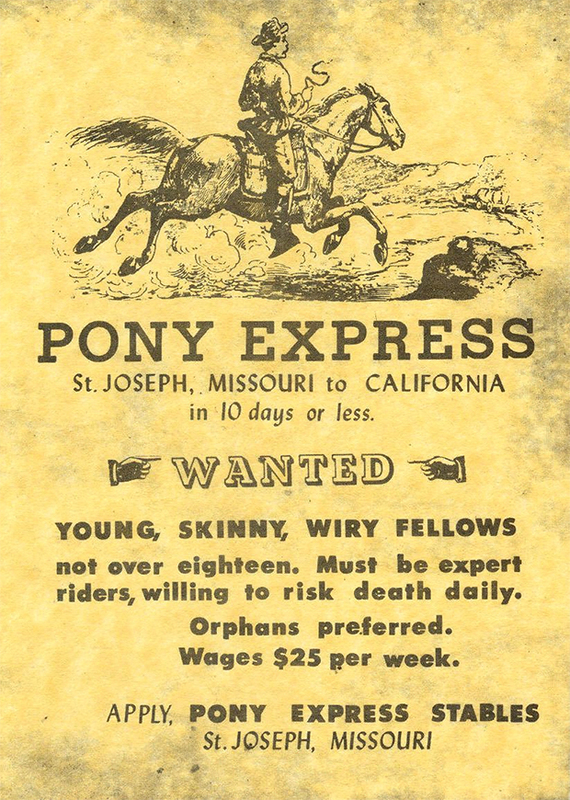 Pony Express riders made around $100 to $150 monthly salaries. In exchange for the higher rate of pay they were expected to take a loyalty oath. A special mailbag known as a "mochilla" was used via the Pony Express. The Spanish style knapsack was lighter and allowed the horses to run faster and helped with the switch between riders. The mailbag consisted of leather cover draped over saddle held in place by rider's own weight. Three pockets for mail and one for riders time card was part of the bag that could hold up to 20 lbs of cargo. Pony express riders had to deal with extreme weather conditions, harsh terrain and the threat of attacks by bandits and Indians. The stock keepers at the relief station were in just as much danger as the riders. Indians have been known to attack and / or burn several relay stations during the Pyramid Lake War during the summer of 1860. As many as 16 Stock hands compared to about 6 riders were killed in the line of duty during the time of the Pony Express. The pony express had bridged the gap between Eastern and Western telegraph lines. On October 24th 1861 the Western Union completed the transcontinental telegraph line at Salt Lake City. The pony express had provided a service that was no longer needed. There was a total of 35,000 pieces of mail that had traveled half a million miles across the Wild American frontier. Arrange lettuce leaves on serving plates. Place watercress, sprouts, spring onion and chicken on the leaves. Place lemon juice, oil and sugar in a screw top jar and mix until the sugar dissolves. Pour over salad. 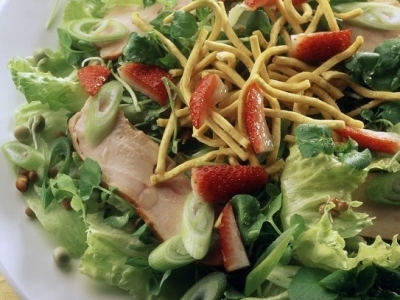 Sprinkle with pepper and serve garnished with strawberries and noodles. Store the fridge in a food bag, leave the bag open slightly to allow moisture to escape. Watercress should last around 3 days before use. Storing watercress in water will lengthen staying time to 5 days, the stems not the leaves should be submerged. Slice 2 cooked beetroots and 1 medium yellow pepper into fine matchsticks and combine with 2 grated carrots in a large salad bowl, along with drained green lentils from a 400g tin. Next, whisk together 2 tbsp apple cider vinegar, 2 tbsp olive oil and 1 tbsp honey. Pour into the vegetable and lentil mixture so that all the ingredients are coated in the dressing. Gently toss 100g watercress through the salad, crumble over 75g feta cheese, followed by 2 tbsp fresh parsley. Arrange the slices of 1 medium avocado on top of the salad. Combine the starter, water, and flour in a large bowl. Mixture will be thick -- you'll need to stir with your hands until all of the flour is mixed in. Cover with plastic wrap and let it rest one hour. Lightly grease a heavy dutch oven and sprinkle lightly with cornmeal. Add the salt and water mixture to the dough and squish in with your fingers. Place the dough back in the bowl. Cover with plastic wrap and let stand until doubled - about 6 to 12 hours. Gently east the dough out of the bowl - you don't want to break up the air pockets. Shape it into a round and place it carefully in to the dutch oven. Let it rise until puffy, about 45 minutes. Make 3 shallow slashed in the dough with a very sharp knife. Remove the cover and bake until golden brown - about 30 to 40 more minutes. You can double check the temperature by inserting and insta-read thermometer in the center. When it's done the temperature will be about 205F. 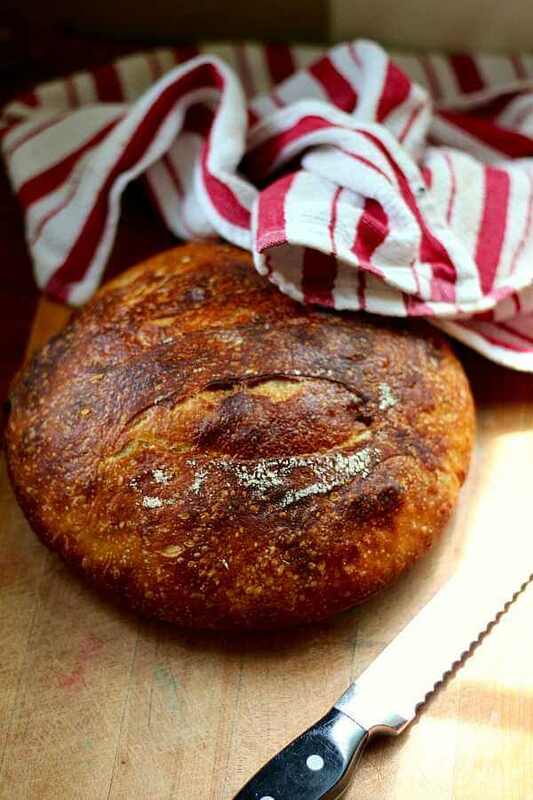 Remove the loaf immediately from the dutch oven and let cool completely before slicing. Many life and church lessons will teach you the golden rule. The top educational sites in fact both family and the school system have many lessons that share the golden rule. 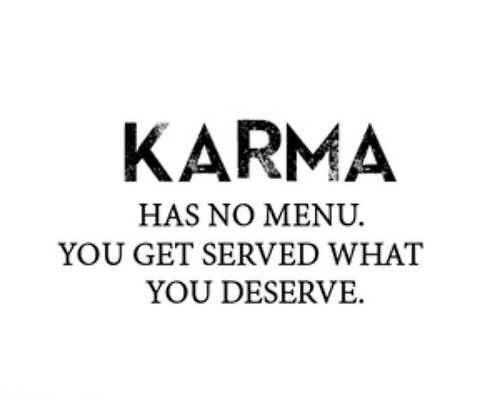 "Do onto others as you would have them do to you"
"you reap what you sow" or "what goes around comes around"
tweeting followers and sharing updates on facebook are awesome but more can be done. YouTube is a great way to keep your post interesting and drawing awareness. Respond to post on facebook, answering email, and tweeting back will allow your followers to see you are interested in them as well. keep up to date with what others share and how they are relevant to your business. What is the buzz out there?? On April 1st 1700 in England, pranksters began to popularize the tradition of playing practical jokes on each other. 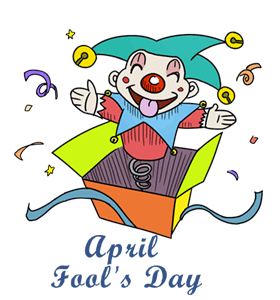 Several centuries have gone by and many cultures have their own story of how the big day of April fools day originated. One story is that it dates back to 1582 in France when the Julian calendar was switched to the Gregorian calendar. This was ordered in the Council of Trent in 1563. News, however, had not reached some and others had failed to realize that the start of the new year started January 1st. Celebrations continued during the last week of March through April 1st and those folks became the joke and many hoaxes took place as well. Pranks such as having paper fish placed on their backs. These individuals who were tricked would become known as April fish, those that were young, easily caught and gullible type of person. Other thoughts of April Fools day is that it is tied to the first day of spring. Mother nature fooled people to believing that the weather was one way then changing quickly so the weather was very unpredictable. During the 18th century April Fools day would reach Britain. Scotland actually had a tradition of having a two day event. One day individuals were sent on what was known as a "hunting the gowk" where they were sent out to do phony errands. Gowk means cuckoo bird which also a symbol for fool. The second day was Tailie day where pranks were played on individuals that included pinning fake tails or "kick me" signs on them. Modern time may be the worst. Through history there have been elaborate April Fools' Day hoaxes played. Newspapers, radio and TV have been involved and Web Sites have joined the fun as well. The tradition of reporting outrageous fictional stories have fooled many audiences. From spaghetti crops grow by farmers and shared on the nightly news even demonstrated how noodles were harvested from trees. One of our families best April Fool Jokes is how two of those we have loved from birth would end up married. Through childhood, school years and even teenage days they never quite saw eye to eye. Imagine our surprise when they remet many years later and were married on April fools day, 2015. Not saying anything but she was a beautiful bride. Any mama would say that and yes, I am her mom and I did. I pray these two see many more years together. Storing your asparagus in a produce bag in your veggie bin is acceptable but is more likely to get bruised, broken or left too long. A better way is to trim the cut ends of asparagus and stand them in a glass of water, covered with plastic in the fridge for up to 2 days. In Greece asparagus was also used to cure toothaches, prevent bee stings and used in herbal medicine as well. Romans were great lovers of asparagus. They would grow asparagus in high walled courtyards. It was Romans who would spread asparagus through out the world. California, Washington, and Michigan are top asparagus producing states in the United States. Asparagus will grow from a crown that is planted about a foot deep in sandy soils. It grows in stalks that can reach as tall as 10 inches in 24 hours These stalks will grow for the next 6 to 7 weeks in spring and early summer. 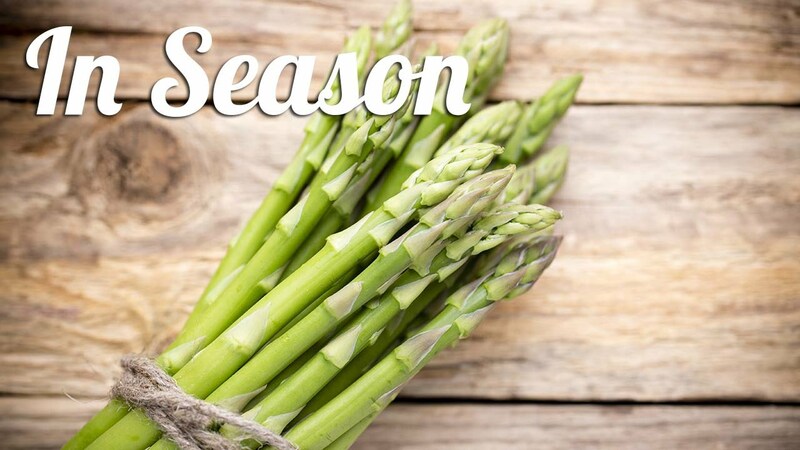 The days temps will determine how often asparagus is picked. Early season picking may take place only once or twice a week. As the days and nights grow warmer the pickings may happen every day. After the asparagus season is done the spears will grow into ferns. The ferns will produce red berries and the food and nutrients for a healthy and productive crop next season are held in the berries.